Happy Saint Patrick's Day! 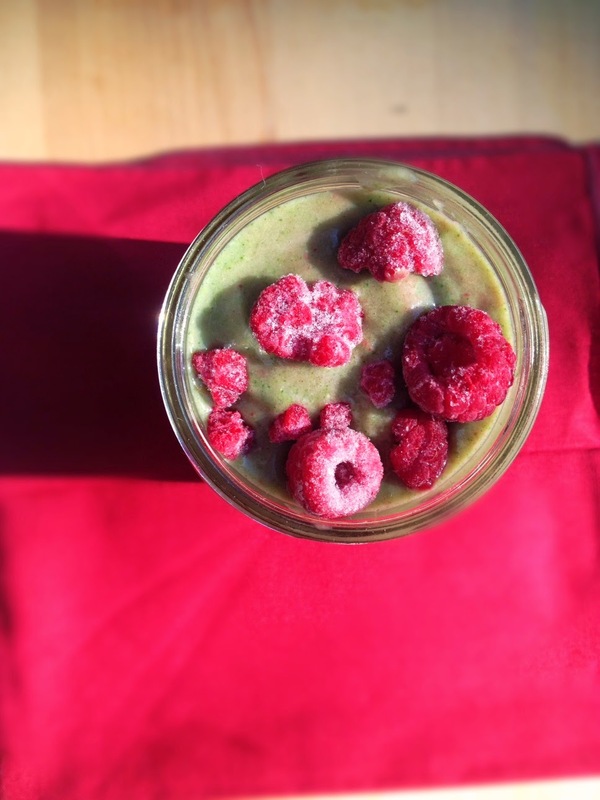 Here's a wonderful super delicious GREEN smoothie recipe that kids will even love! Don't tell them the green is spinach and they'll be asking for more! I topped mine with raspberries just to give it a color pop!